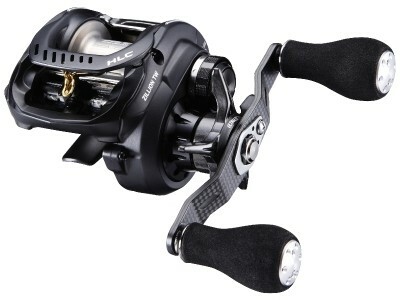 Daiwa Zillion HLC 1516 Hyper Long Cast is a special version of Zillion TW HD to cast the longest with relatively heavy rigs. It is specifically designed to cast 14g 1/2oz or heavier up to 2oz Calolina rigs the longest from banks, using long 7-8' rods. Its spool has far less brake force than regular Zillion TW reels, to allow for the spool to accelarate about twice the speed than regular Zillion. To hold the high speed spinning spool, aluminum alloy side plates are employed instead of plastics. G1 grade extra strong duralumin spool is deeper to hold larger line capacity. 90mm long handle and EVA power round knobs are to crank with power. Magforce Z brake system offer the best distance. Ultimate Tournament Drag system offer smooth stable stopping power. Jun's Comment: Daiwa Zillion HLC reels have been very popular among anglers in large Biwa Lake in Japan, where the world record bass, 22lb 4oz was caught in July 2009. They fish from banks to cast the longest. Daiwa HLC reels have 4 times stronger brake springs holding brake rotors, meaning allowing twice the spool speed than regular models. Due to the extreme tune, this reel specifically suites well to heavy, simple rigs like Calolina rigs, but will cause a lot of backlash with crank baits, minnows and spinner baits.